Claire Sevigny, founder of Mind Altered Media, is both inspired by entrepreneurs and wants to inspire others. Sevigny credits the likes of Sir Richard Branson and Joe Rogan with inspiring her to launch her podcast which is now poised to evolve into more. "I've been looking for a way to be able to build something that is mine and I'm definitely in the mindset of being entrepreneurial," she said. "I am inspired by self made entrepreneurs because the only way to be your own master and get ahead in this life is to build your own business. I am continually amazed that I started this just as a way to pursue my own curiosity and it has built its own momentum so that some intriguing opportunities have come up as a result." Mind Altered Media's podcast centers around good conversations with good people that strives to expand listeners' minds and sensibilities by exploring different aspects of music, culture, and more. "It started out of a sense of community," Sevigny said. "I think there are so many interesting people doing interesting things in this area, but if you don' t move in the right circles, you'll never hear about them so I created a platform to share those stories." The podcast is intentionally broad. 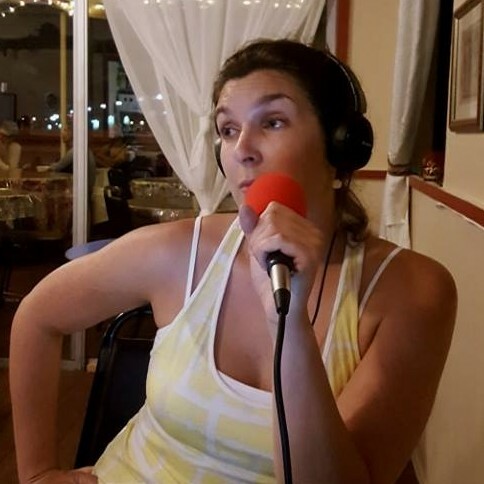 "There are a number of people who podcast in Daytona," she said. "I'm more of a jack-of-all-trades covering the community at large. While most podcasters focus on one subject such as comedy or gaming, I cover a broad range of topics and events because I'm interested in everything. The events part evolved as a way to provide value to local people. If anyone is looking for something to do, they can visit the Facebook page and find three things within 40 miles on nearly any day of the week."